I’m tired. I’ve just come out of a two hour long meeting – the third of three such meetings – where Tim, Rich and I sat down and went over exactly what the best games of the year and what order they should go in. When we started off the meeting things were fairly simple. We all agreed on what the game of the year was and we decided the best way to order them was by the major genres, with award for best console and best overall game. After an hour, that went out the window. Tim and I were at each other’s throats about which should claim the number one slot while Rich was holding his head in his hands, sobbing about he never has time to play games anyway. Hiren was peering around the window, desperate to be involved but barred because of something called 'professional ethics'. In the end, we came to a different method and scoring system. There had been too many good games this year in too few categories and we saw that some truly excellent games had ended up being a bit light on accolades, while others were scooping them up in droves due to the technicalities of our scoring system. We threw the whole thing out of the window and started again, electing to use a top ten countdown instead. Our ranking was simply created. Rich, Tim and I each wrote down our own top ten lists in secret. Then we compared and averaged out the results using secret calculations passed down to Tim by the blind, bald, Butterfly Monk Clan of Northern Tibet. Aaah, BioWare – you’ve been gone too long. We need another fix of that high-powered, repeatable RPG high which only you can provide. Like you did with Knights of The Old Republic, remember? Mass Effect is the first part of BioWare's new space trilogy and it tells the story of Shepherd, the first human to be enlisted to a secret military organisation called The Spectres. Shepherd, who can be a man or a woman and who can look however you want, quickly builds a team around himself and sets off to battle an intergalactic threat the likes of which nobody has ever seen before. 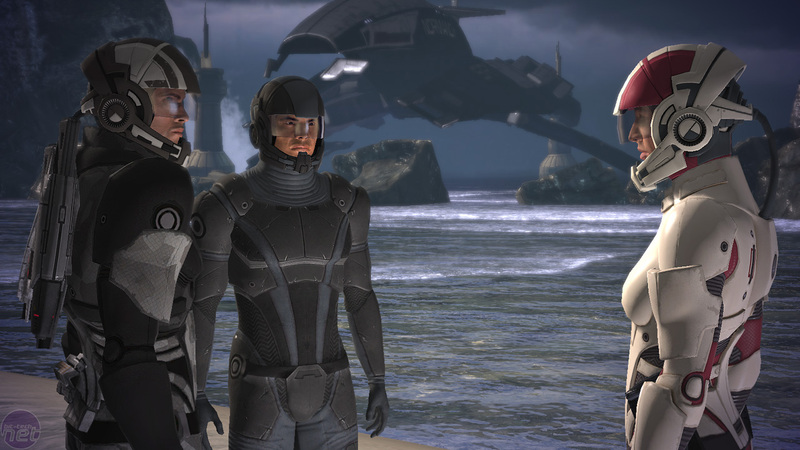 What makes Mass Effect such a great game though is how predictable it is. The game is classic BioWare and the game is dotted with hallmarks of the Alberta-based developer. There’s a combat system which blends real-time skill and luck with tactical role-play elements and the usual weighing up of which attribute to level up and which to leave behind. At the same time the characters, all of whom have unique and established personalities, can be formed around the player as a group that you can have as little or as much interaction with as you want. There’s alien women to love, planets to explore and foes to vanquish so that, despite the sci-fi makeover, Mass Effect remains a very classic RPG at its core. 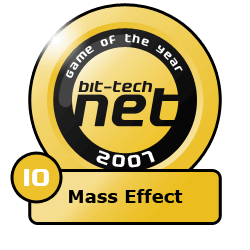 The game does have a few flaws – annoying vehicle handling and combat which can be dull after a while (not to mention the world’s longest elevator rides), but Mass Effect is easily the best RPG you’ll buy this year and is a worthy entrant to the Top 10 Games of 2007.